C.O.P.E. 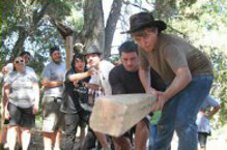 is an acronym for Challenging Outdoor Personal Experience and at Mataguay Scout Ranch, we have a weekend that will do just that! Whether your unit needs help learning how to Communicate, Plan, Trust each other, Team-work, build Leadership, learn to Make Decisions, Problem Solve, or just build Self-esteem, we have a program that will fill your units needs. For units that wish to camp as a part of their experience, camping is under the high course and is “backpack” style. For groups that do not wish to camp, for an additional fee we have a conference center complete with commercial kitchen. The Low Course is where your group begins to shine. 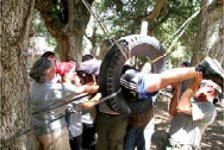 Through several objective (between 18” and 12 feet off the ground) we begin to challenge your group to think outside the box, grow their leadership skills and work cohesively. Each objective builds upon the previous tasks and presents new and exciting challenges. Some groups that enter the program, complete all the objectives, most however do not. And, even if your group has been through a Low Course on previous adventures, we can tailor your weekend to give your unit a chance to achieve even higher goals. The High Course is where your group will really learn to look out for one another, encourage and test their nerves 35 feet in the air. 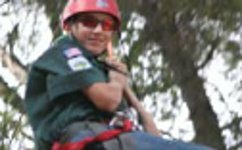 Participants can climb a cargo net, a utility pole, or even ascend a rope into the high course. From there, the Balance Beam, Monkey Bridge, 2 Line Traverse, Swinging Vines, and Broken Bridge beckon. After completing all the elements, the Leap of Faith challenges even the most agile and confidant person. After completing the high course, The Rappel Tower and the Zip Line beckon. We even can provide you with an “additional challenge” should you want one. The entire weekend, is set up to challenge you and your unit to do things you never thought possible. We will not, however, force anyone (through peer pressure, or any other measure) to do something they are deathly afraid of. 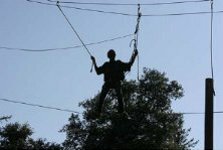 Our staff may ask a participant to try and go one move higher, or take one more step, or try something a different way to help overcome those fears, but the participant has the ultimate say in how far they go. The C.O.P.E. Program runs from Friday evening until Sunday afternoon. Depending on the group size, your unit could be done anytime between Noon or 5 pm on Sunday. A “Scouts Own” time can also be scheduled into the program on Sunday morning. Cancellations must be in writing. There is a 10% administrative fee for participant cancellation in advance of 90 days. 50% participant cancellation fee if cancelled 30-89 days prior to event. No refund less than 30 days before event. Any registration may be transferred for a 10% administrative fee prior to the event. Please mail all cancellation requests to Camping at sdiccamp@scouting.org.